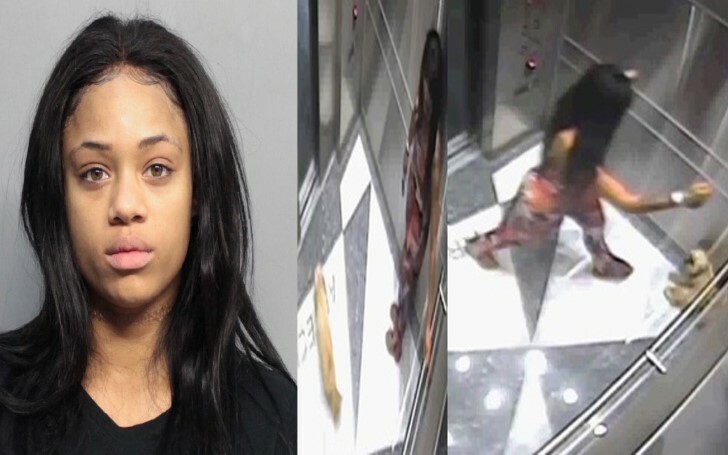 Instagram model Keevonna Wilson who was seen kicking a small dog in an elevator at a condo in Aventura is sentenced to four years probation. The Florida model Wilson will serve four years probation as her condominium's surveillance camera caught her kicking her small dog. It was the incident that actually occurred in September 2017! She entered the elevator of her condominium in Aventura where she mercilessly kicked her dog, Shih Tzu-Yorkie mix named Chastity. The video showed her kicking the pet at least 10 times. Popular Instagram model named Keevonna C'Ante Wilson arrested and charged with attacking her tiny dog. Security guards at the condominium immediately contacted police and handed the video. Later, Miami-Dade Animal Services examined the dog and put her up for adoption. "She was devastated by this. She worked very hard to make this right." "My actions were despicable and uncalled for. I should’ve never allowed my anger issues to dictate how I would treat my own defenseless dog." "I took anger management classes on my own to help me deal with my internal issues. I took the classes because I wanted to deal with the root of why I reacted in such a horrible way." Meanwhile, Wilson is not allowed to purchase, adopt or care any animals for three years. In addition to that, the authorities ordered her to pay an additional $2,795 veterinarian bill to nurture the injured dog. Following the incident, the star took anger management classes. "I took anger management classes because I wanted to deal with the root of why I reacted in such a horrible way. I’ve lost my best friend [sic] (My dog) because of my anger issues. I’ll let this be a lesson to myself and others when it comes to anger issues,” she wrote. “Get help before it’s too late and you do something horrible. I have to deal with my bad choices for the rest of my life." She mentioned that she's talking about the incident all again because it's already been resolved now. Also, she promised to help animals who have been a victim of abuse. "I went through the system and paid legally for my wrongs; now I will take it a step further and help dogs who’s experienced abuse." She posted a video with a dog that appears to be the same dog she abused, Chasity, of course with the caption, "I'll always love her."